Infrastructure > Health, Modeling production, processing and distribution infrastructure for a resilient regional food system. 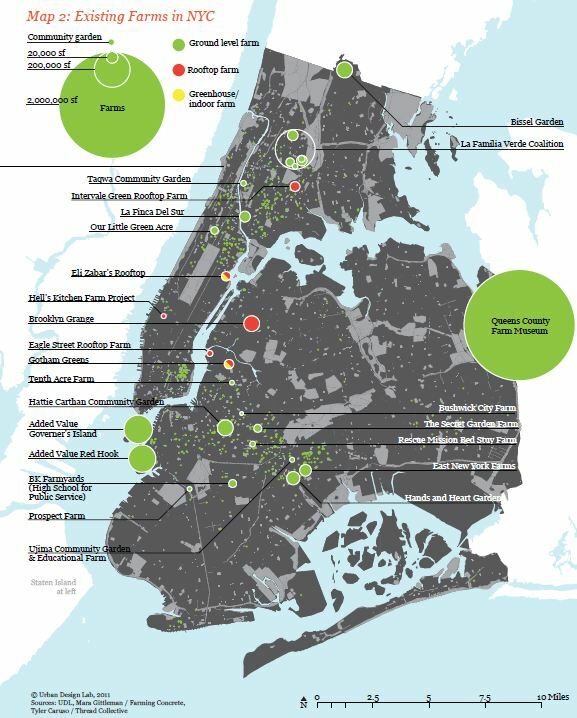 It is a stucy by the Urban Design Lab at the Earth Institute (Columbia University), developed with a grant from the Rockefeller Brothers Fund. The result, the New York Regional Foodshed Project, is coordinated with the National Integrated Regional Foodshed Project. The project asumes the high child and adult obesity rates and their social costs for the country, seing obesity as an infrastructural problem as infrastructure plays a role in food costs and has environmental and health implications. The improvement in infrastructure improves access to healthy food, and citizen awareness also helps. 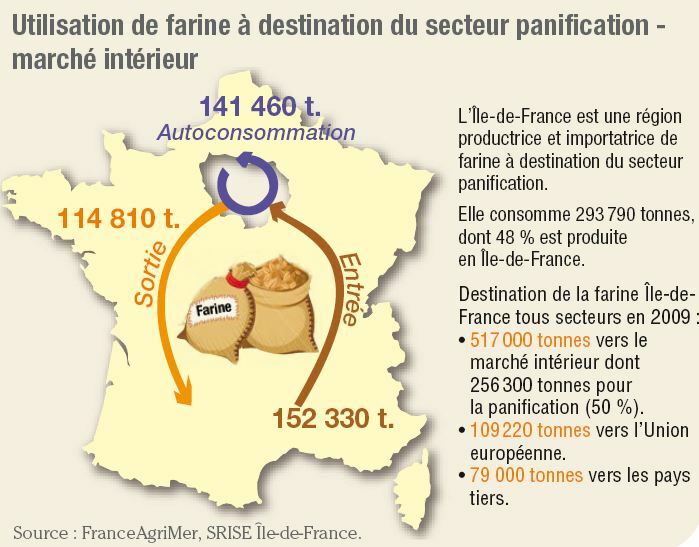 The study takes from national scale studies the vision of the agricultural productions on a 200 mile radious around large metropolitan areas. 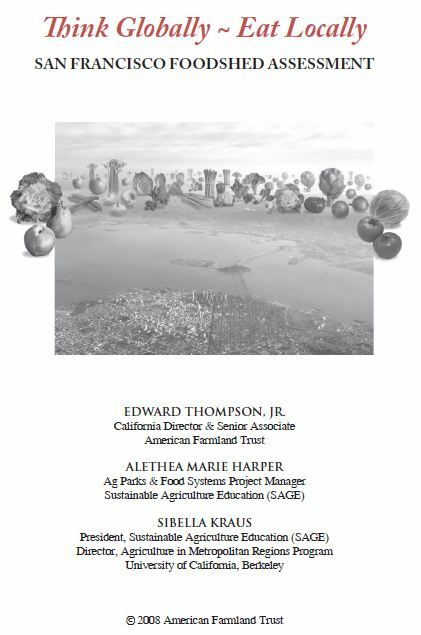 Food production is considered to be agregated at county level, in a structure that is subject to a case study covering the State of New York (only a part of the city’s foodshed). 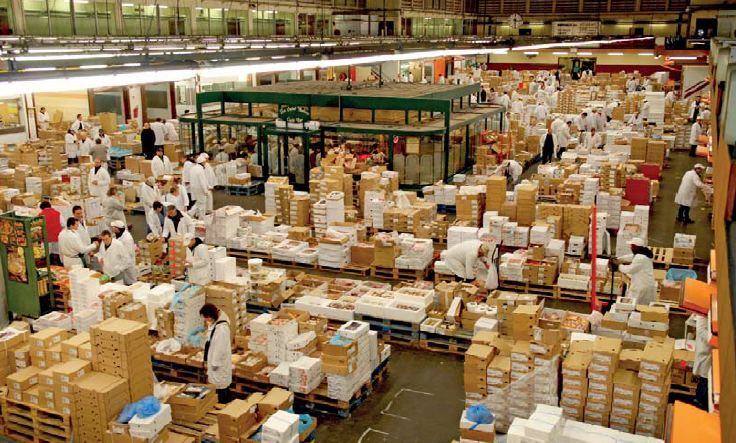 Apple, beef and cider production, slaugtherhouses location, demand location and access time are all studied, as well as the optimal location of new slaugtherhouses and agricultural agregation facilities. 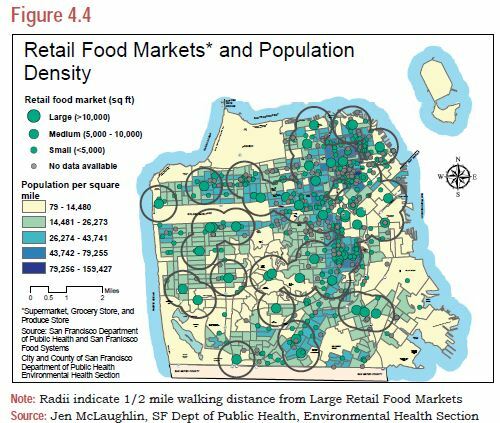 The food distribution through grocers in New York City is also studied. 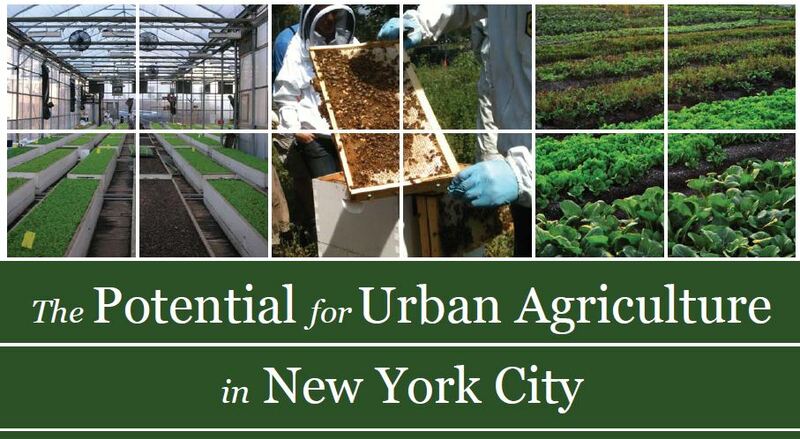 The Potential for Urban Agriculture in New York City. Growing Capacity, Food Security, & Green Infrastructure. 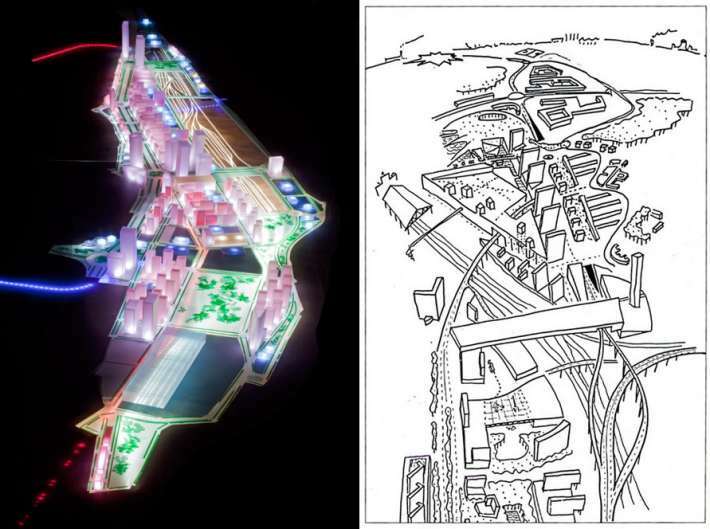 It is again a study by the Urban Design Lab at the Earth Institut (Columbia University), developed with grants from the New York State Energy Research and Development Authority and the Doris Duke Charitable Foundation. Appraisal of the potential benefits of the urban agriculture, in a global cost and benefit analysis. Implications of urban agriculture on water management and sustainable urban drainage. More through cost- benefit analysis are needed. Urban agriculture contributes to a sustainable urban food system. Christmas is around the corner, and it seems fit to dedicate some thoughts to the three elements that move the most the (western) societies during the season: food, shopping and travel; the first two are nearly self-evident to any westerner, and the third is related to the fact that most people either gather with their families or get away from them looking for some days in a place that seems better. Even when these holidays have a holy origin, this is no longer a major element in the urban dynamics of most of the western world, so my focus on the issue will only be tangential. 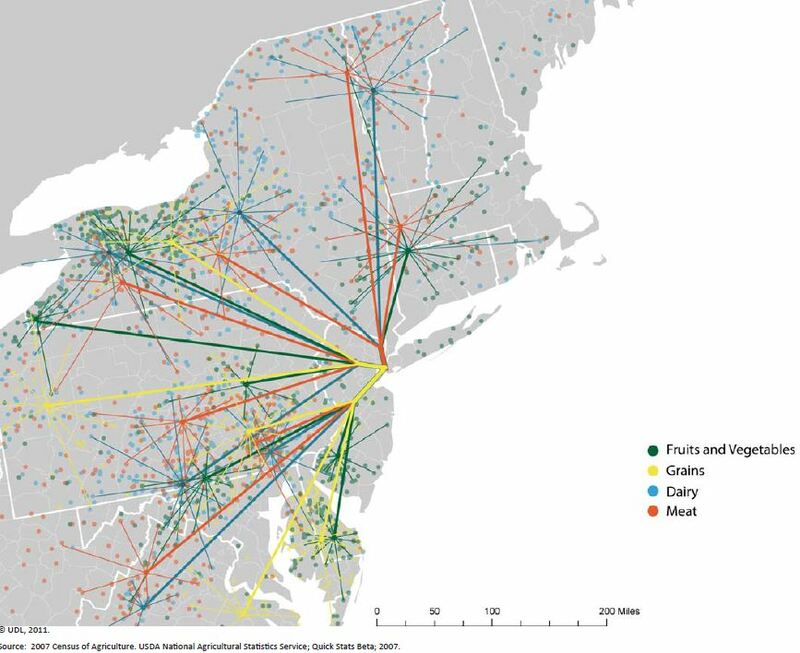 This first post of the season is about food, and more specifically about one of the emergent trends in sustainable urban planning: the relationship between agriculture and cities. Two approaches can be taken. 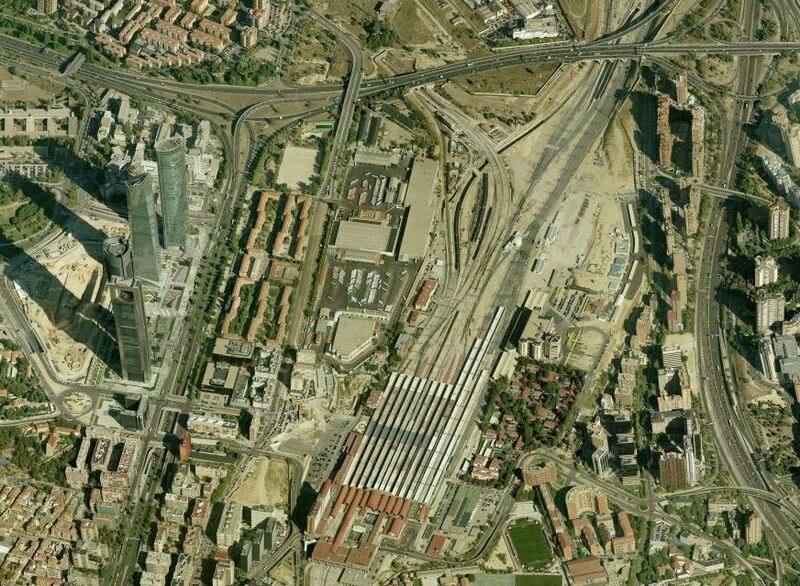 The first concerns the possibility to use urban spaces for food production. 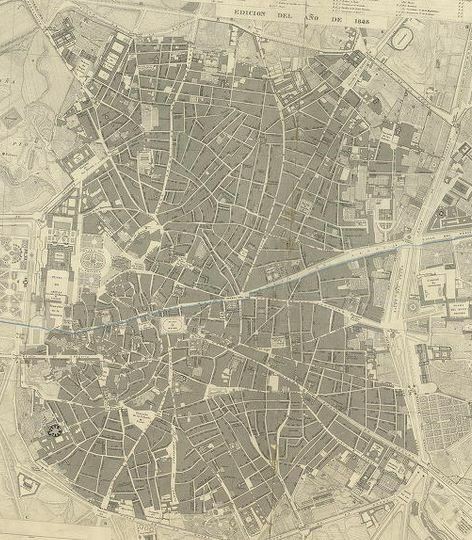 Historical images show that the cores of the city blocks sometimes had orchards, and some place names are a testimony to an ancient agricultural past. The aim to have a more local food (produced at an x distance in miles from the consumer to reduce the impacts derived from transportation) and an increased environmental awareness in cities seem the main goals of a movement that has transformed vacant lots and old sheds in cultivation areas. Even if the density of the current cities is variable, it seems fit to remember that self- sufficiency in this matter is not equivalent to the one in, for instance, energy, in which there are real efficiency issuses. Settled cities in wars usually fall due to hunger, as it is simply complex in a city to find land surface enough. 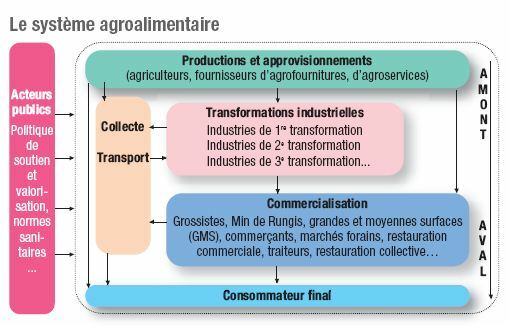 Despite that, I think there is room for some productions, as long as their impact remains smaller than that of the transportation and management impacts of distant cultivation (it would not be that wise to reduce carbon emissions from trucks and refrigerators by drying up distant wells to water the urban cultivations…). Real estate prices, to begin with, can easily condition the feasibility of agriculture against other uses, but urban planning can specify special districts. 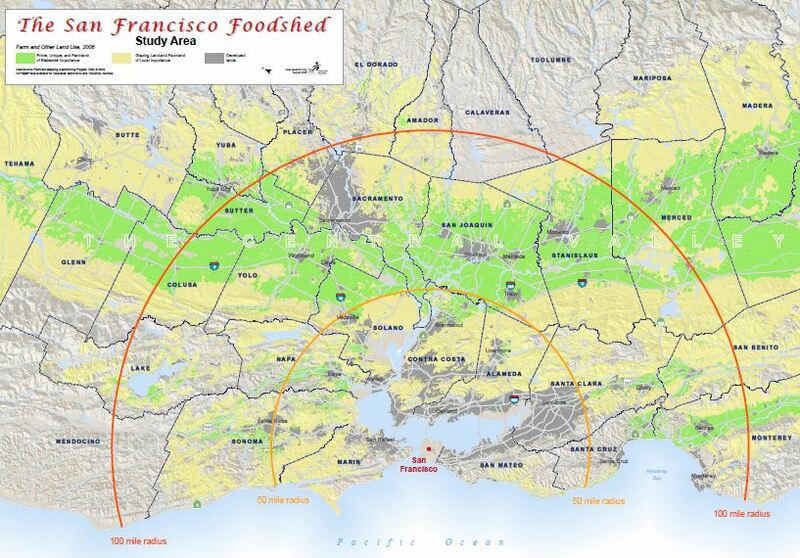 The concept of foodshed, introduced by Walter Page Hedden in 1929 (“How great cities are fed“) can somehow be assimilated to that of watersheds; it implies the assessment of the land needed to feed a metropolis. Food sovereignty is a different concept, not associated to metropolitan areas, but to more political concepts. Both ideas can be found in specific literature. 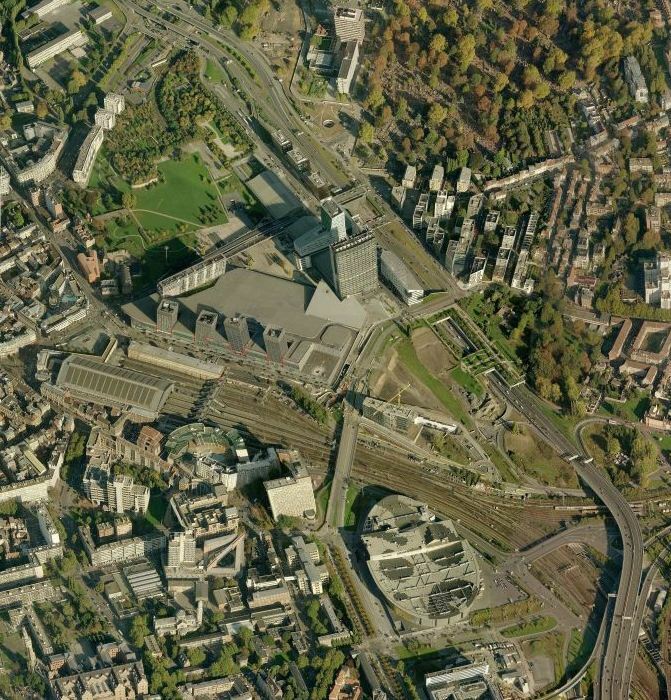 Plans for the Castellana Extension in Madrid (left) and Euralille in Lille (right) at the same scale. 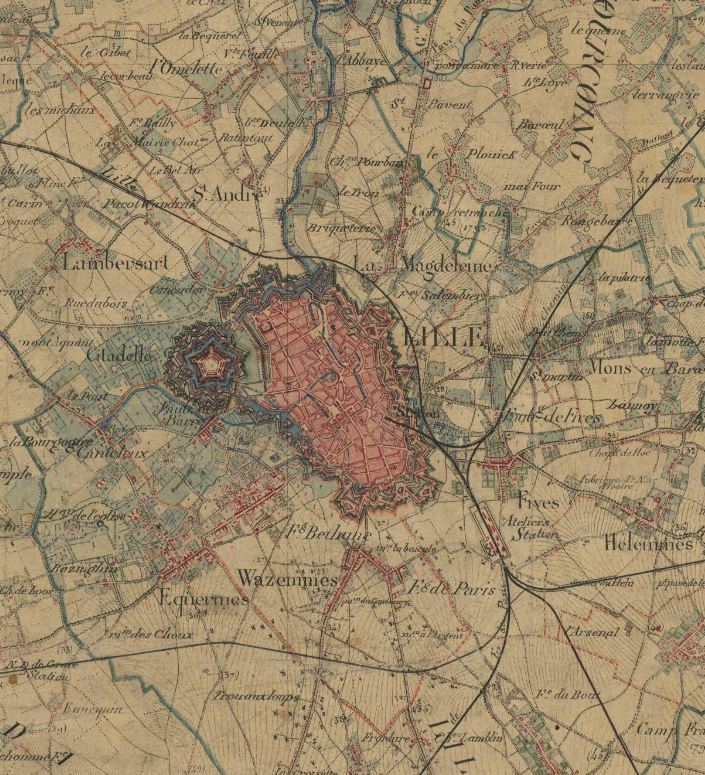 Munipalities (Communes) in the french area of the map (the northern map corresponds to the Belgium regions of Flanders and Wallonie). Biblioteca España is located in one of the informal areas of Medellín, the Colombian city that is unfortunately known for drug traficking. 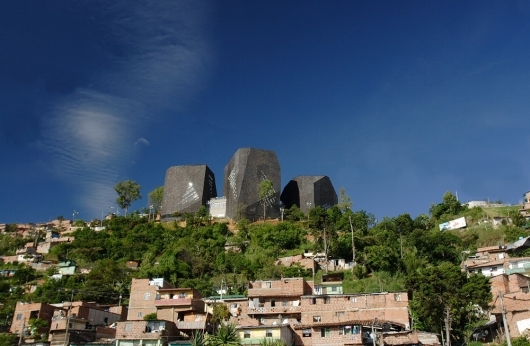 Giancarlo Mazzanti’s architectural project configures three volumes as black rocks; but the most interesting element is the idea to locate such a cultural venue in an area in which culture is far from being perceived as a political priority… The city of Medellín tries to improve the quality of life of its citizens through this kind of actions, adressing reality and not just an ideal image.